Proven? Definitely. Over the years, we have helped corporate and dealer clients reach their marketing goals. Take a look at several of our success stories. Accomplishments: Mcomm’s updated Customer Retention and Prospecting program found great success for CASE Construction in 2014-2016. With the recent changes to the program—including three different types of calls such as prospecting, machine sales follow-up, and service/rental follow-up—Mcomm called over 80,000 customers, speaking with the decision-maker 18% of the time and converting 31% into qualified leads. Contact lists were also updated with accurate contact information for 48% of customers, improving calling lists and providing greater customer service on the dealer level. Accomplishments: In 2016, Mcomm implemented Act-On marketing automation software into Telsmith’s existing website. The use of marketing automation, paired with Mcomm’s Customer Outreach program, provided more qualified leads for the Telsmith sales team to cultivate or close. Mcomm and Act-On allowed Telsmith to convert its site into a lead generator and customer touch point, with $130,000 in actual sales and $10M in anticipated sales over the next twelve months. 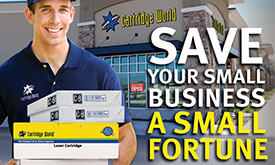 Accomplishments: Targeted quarterly campaigns directed by Mcomm have been instrumental in putting Cartridge World on the map. Along with continuing to target prospective customers, an emphasis was placed on bringing back previous customers to the business. Customers were qualified through pre-approved parameters and targeted with a multi-touch campaign consisting of mailers, lead development calls and prompt follow-up reporting. The targeting tactic was embraced by the 600 North American franchise stores and accounted for 60% of the quarter’s targeted marketing efforts. Accomplishments: In 2016 Mcomm created Mining All In, an informative microsite, for Telsmith and Breaker Technology (BTI). 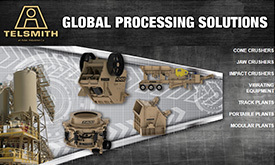 This page allowed customers to receive information about products and services they offer, read related news about MINExpo 2016, and learn more about their MINExpo theme: Mining All In. 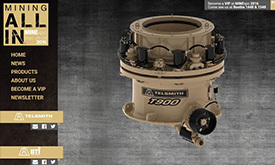 This microsite was able to interest new clients, intrigue existing clients, and drive people to visit Telsmith and BTI at the 2016 MINExpo show. 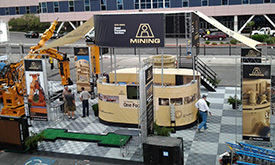 Accomplishments: In 2012, Mcomm helped launch the Astec Mining brand by coordinating a customized booth and supporting event materials to ensure a consistent and professional look at the popular trade show MINExpo. Chad McClaskey said, “Thanks to Mcomm Group, the launch of the Astec Mining brand was well received all-around from handouts, activities, sponsor tie-ins and booth graphics. This was the most professional our booth has ever looked, and we plan to repurpose this signage at future events to further support the brand launch.” Mcomm’s experience in booth design and event graphics helped Astec make a lasting impression on potential customers and colleagues in the industry. 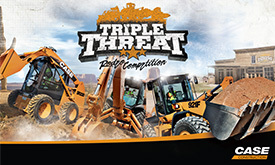 Accomplishments: In 2007, Mcomm managed 78 “rodeo” competitions for construction equipment across North America involving hundreds of competitors, thousands of spectators and countless details to make the events run smoothly. Jim Hughes, Brand Marketing Manager for CASE Construction, praised the success of the 2007 event by saying, “Thank you for making the CASE Rodeo Series Championship Event one of the most memorable events in CASE Construction Equipment history!” In 2011, we upped the ante with the CASE Triple Threat Rodeo by managing 56 competitions involving three pieces of equipment and even bigger attendance numbers. Our experience, coupled with our strategy and planning, makes all the difference for event management this great in size. 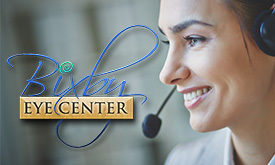 Accomplishments: With the goal of growing the patient pool for Bixby Eye Center, Mcomm helped decrease patient fall-off rates by utilizing a targeted win-back strategy. Through a series of lead development calls to patients who had not visited the practice in over 3 years, Mcomm's efforts brought in 208 patients—totaling $72,800 and a 17% conversion rate—which left the appointment calendar booked for months in advance. Due to the success, this established strategy is still being executed by the Bixby Eye Center today. Accomplishments: Through thorough research and strong conceptualization, Mcomm Group helped FS Propane establish a new brand that communicated the core values of their company to the local communities they served. The new brand was embraced by the member companies that spanned from the Midwest to the East Coast. 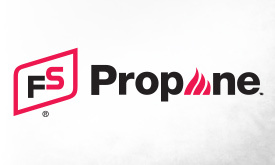 Upon completion of the brand along with supporting marketing materials, FS Propane was prepared for the biggest opportunity to gain market share in the company’s history. Accomplishments: In 2016, Mcomm worked with Canada-based Rocky Mountain Equipment to build two Ruby on Rails websites and used equipment finder for machinery that was priced outside the norm. 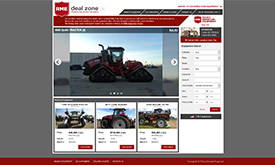 Mcomm worked with Rocky IT/ERP management to produce and parse the relevant data into the Mcomm CMS (v1) and created similar but distinct websites to showcase agriculture and construction equipment. 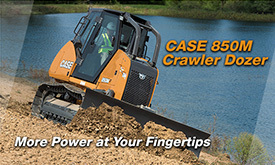 The sites included features such as CASL-compliant contact handling, a used equipment locator, a dealer locator, and an automatically populating XML feed. With weekly analytics and inventory reporting, including specific page hits on each piece of equipment, Rocky Mountain can successfully manage its inventory of both agriculture and construction equipment. Through the projects, Mcomm expanded its dealer website capabilities, which can be integrated and automated into any dealer systems. 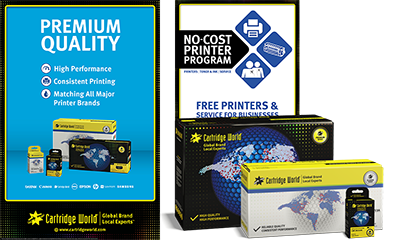 Accomplishments: In 2016, Mcomm worked with Cartridge World—the industry leader for eco-friendly ink and toner printer cartridges—to update and create four line extension packages in a dozen different sizes. Mcomm revamped the Cartridge World packaging with a new look-and-feel, including brighter colors and more vibrant images. While maintaining the core Cartridge World brand guidelines, the new design also conveys superior package and product quality that is on-par with competitive products. Accomplishments: In 2011 Mcomm Group developed, planned and managed the marketing and logistics for a comprehensive nation-wide event for the all-new New Holland 200 Series Skid Steer Loaders. 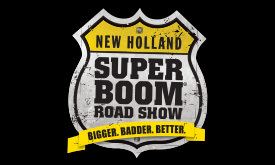 This national event, billed as “Bigger, Badder, Better,” involved 40 dealer-sponsored events across the United States and Canada with over 2,000 competitors. Dave December, Marketing Manager for New Holland Construction America, praised the success of the event by saying, “The show was a great success in large part to Mcomm’s event vision, planning and organization, inclusive collateral and display designs and event support.” The event success later led to Mcomm writing, designing and executing a multimedia promotion for their backhoe loader line, known as the Triple Play campaign, which included direct mail, print ads, outdoor, web banner ads, on-hold messages and radio promotions. Accomplishments: Unilever is a global company with more than 400 world-leading brands, such as Lipton, Knorr, Dove, Axe and Hellmann’s. 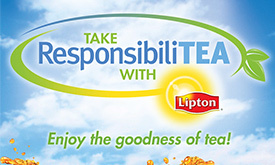 The Lipton ResponsibiliTEA promotion was designed to engage store customers in the goodness of tea, while giving stores the tools needed to fuel it. Mcomm provided telesales services to outline the store promotional materials to store managers, fulfilled POS material shipments and executed a store manager survey/results tabulation which was sent back to Unilever. For the Knorr Pita Pit Program Launch, Mcomm provided program development and implementation as well as outbound telesales service to support the launch of the Knorr Soup Program through 133 Pita Pit franchise locations.